After withdrawing from the 2016 Liqui Moly Bathurst 12 Hour, Melbourne based M-Motorsport are back with a vengeance debuting a new car and topping the Avis Class C sheets in today’s qualifying session. Glen Wood set the fastest in-class lap of 2m:17.713s in the #48 Interlloy KTM X-Bow GT4. Wood, who only got in a handful of laps last year, is happy with the car and looking forward to clocking up some more miles in tomorrow’s race. “It’s really only my second time here, I only did seven laps last year in the Lamborghini.” Wood said. The 2017 Liqui Moly Bathurst 12 Hour is M-Motorsport’s first foray into GT4 territory. 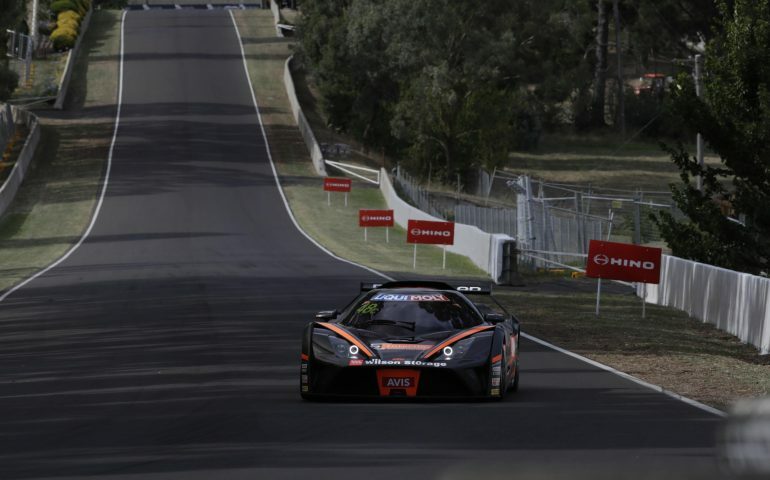 After four seasons in the GT3 category with the Reiter Engineering built Lamborghini Gallardo LP560-4, the team has a new look and positive attitude heading into one of the most challenging rounds on the Australian motorsport calendar. Wood is sharing driving duties with team owner, Justin McMillian as well as two European drivers Tomas Enge and Reinhard Kofler. At this stage, only a few minor changes will be made to the setup of the #48 KTM X-Bow GT4 and the team will look to gain more time through improving their pit stops and driver changes. As for the competition, Wood has tipped the two Ginetta G55s as M-Motorsports’ biggest threat to taking home the class title. Wood just beat out Mike Simpson in the #55 by two tenths in today’s qualifying session.